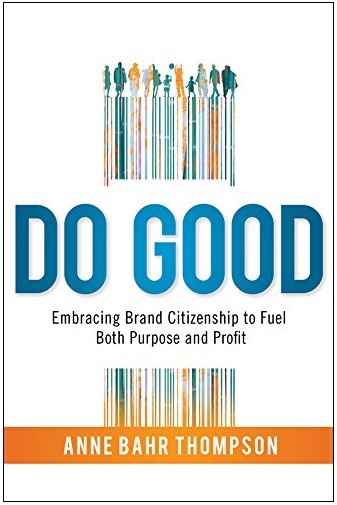 As businesses respond to the shift from the tunnel vision of ‘profit only’ to a shared value paradigm, Do Good: Embracing Brand Citizenship to Fuel Both Purpose and Profit, by Anne Bahr Thompson, is a powerful resource to conceptualize the implications, gain perspective on the myriad benefits, and visualize a way forward. Here’s a sneak peek at the author’s insights springing from her extensive research. The book goes on sale in November. ….Although a majority of business leaders have accepted—to varying degrees—that they have a responsibility to help create a better, more sustainable future, they have not necessarily figured out how to do so effectively. For many, the focus has been on looking good rather than on actually integrating the elements of doing good into the DNA of their organizations. Often, the goal of doing the right thing is seen as a cost of doing business, not a way of doing business. 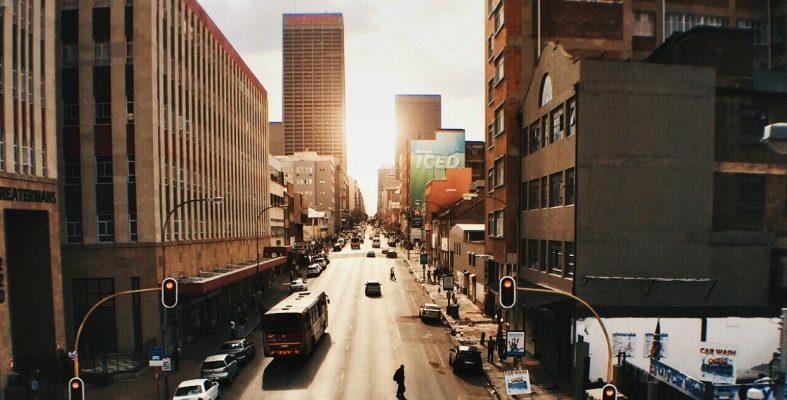 Although social responsibility has grown in importance as a factor in corporate reputation, a brand purpose centered on doing good is still largely perceived as more specialized and relevant for brands designed around social entrepreneurship or focused on niche target consumers. As I have listened to people participating in CultureQ research, I have heard the call for brands to do good on their behalf growing below the surface of all their decisions. The unprecedented level of transparency that social media has generated is placing great power in the hands of customers and employees. And the rise of populism that has continued to surface in different manifestations since the Occupy Wall Street movement is calling for more equity and fairness in business decision making. With this Outside-In orientation, people are increasingly looking to buy great products and services from companies that have ethical operations, do great things for the world, and advocate for the things they care about. Ultimately, people are demanding greater value for their dollar than ever before, and businesses must holistically align brand development with sustainability and corporate citizenship initiatives. What’s most interesting about the shift is the fact that customers and employees—in other words, people themselves—not marketers or advertising agencies are driving the change. Clearly, though, marketers and advertisers have a role to play in making the change happen—and at a faster rate. The concept of Brand Citizenship is reflective of our flattened world, where greater consumer–corporate collaboration can deliver significant benefits to customers, corporations, employees, suppliers, other stakeholders, and society alike. Until now, as long as companies delivered on shareholder value, investment and growth generally continued every quarter. The peak of the economic crisis in 2008, however, accelerated a nascent trend and emphasized a shift from shareholder to stakeholder value. Brand Citizenship champions this notion by embracing profitability and responsibility as harmonious concepts. Placing a greater purpose at the center of a brand is the starting point, followed by aligning the benefits a brand delivers to individual customers with how it treats employees, suppliers, and the environment, and with the way it helps the world. The qualitative and quantitative studies we conducted over three years as part of CultureQ research led me to see something unexpected: People want brands that start with a ME-First orientation to stretch and span themselves across a ME-to-WE continuum. Brands must first deliver value, functionally and emotionally, to individual consumers (ME) and then, depending on the brand’s purpose, move outward toward delivering added value to society: the collective WE. For many executives, activities related to corporate social responsibility, environmental sustainability, and doing good may still feel as though they conflict with the classic business school mantra that has dictated corporate behavior for decades: The primary purpose of a corporation is to maximize profits and shareholder value. Even the phrase doing good conjures up images of idealism and altruism—which translates to self-sacrifice and not making a profit. Yet globalized sourcing, production, and sales all insist that long-term success be dependent on meeting the needs of a wide range of stakeholders. In an interconnected world where mashups of all kinds are mainstream concepts—with disparate elements easily coexisting—and where social media enables people to share stories globally of good and bad experiences with products and services, the notions of doing good and earning a profit cease to be at odds with each other. Doing good and earning a profit are symbiotic and interdependent elements in what I, and others, refer to as a virtuous circle that includes customers, employees, suppliers, communities, society at large, and even the planet. Today, the goal of doing good and becoming a sustainable business is a practical and necessary investment into brand loyalty. This is the new model of Brand Citizenship. A holistic principle that equips businesses to gain lasting credit for sustainability and corporate social responsibility initiatives along a continuum of doing what you say you will, doing right by employees and the planet, and providing goods and services that are truly worthy of the buying public’s time and hard-earned dollars. Companies that make this strategic shift are judged to be more relevant and in sync with modern society: empathic, innovative, and uplifting. Feature image courtesy of Keenan Constance.